Leymah Gbowee, co-winner of the 2011 Nobel Peace Prize, will give the address at Eastern Mennonite University’s 96th commencement on Sunday, April 27. Gbowee is a 2007 graduate of EMU, with a master’s degree in conflict transformation from the Center for Justice and Peacebuilding (CJP). Within a few years, Gbowee had become a leader of a grassroots women’s movement, the Women of Liberia Mass Action for Peace. Using demonstrations, sit-ins and other nonviolent tactics, the group eventually forced the country’s warring factions to negotiate and sign a peace agreement in 2003. Leymah Gbowee and her son Joshua Mensah. 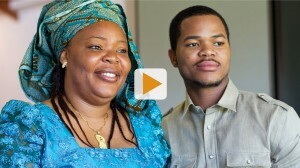 Hear from Gbowee on why she wanted her son to go to EMU, the power of women, and more! Gbowee is one of the main characters in the 2008 documentary, Pray the Devil Back to Hell, about this movement to end the Liberian civil war. She is also the author of a memoir about her life and activism during the war, Mighty Be Our Powers. She shared the 2011 Nobel Peace Prize with Liberian President Ellen Johnson Sirleaf, the first female African head of state, and Tawakkol Karman, a Yemeni peace activist. This year’s commencement will have an important personal component for Gbowee as well – her oldest child, Joshua Mensah, will graduate with a bachelor of arts in digital media. Gbowee has said that she chose EMU because she wanted him to go to a Christian college that emphasizes community and peacebuilding. 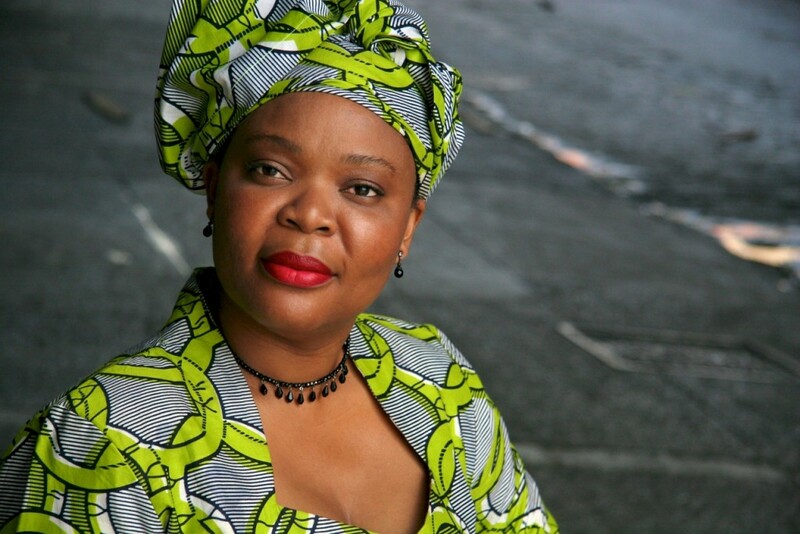 Gbowee is spending the 2013-14 academic year as a Distinguished Fellow in Social Justice at Barnard College in New York. She is the founder and president of the Gbowee Peace Foundation Africa, which supports education and leadership development in Liberia, and a co-founder of both the Women Peace and Security Network Africa and the Ara Pacis Initiative, a global peacebuilding and reconciliation organization. She also serves as an Oxfam Global Ambassador, working on the international nonprofit’s campaigns against poverty and injustice, and as a board member of the Nobel Women’s Initiative and the PeaceJam Foundation. EMU will confer 481 degrees at its 2014 commencement, including 210 earned through its traditional undergraduate program, 146 awarded through its Adult Degree Completion Program, 117 from its graduate programs, and eight through the STEP ministry certificate program offered at EMU’s Lancaster, Pa., site.